Ise ostsin Kaubamaja Ilumaailmast 21,95€ eest miinus Partnerkaardi soodustus. Aga neid saab ka osta RT enda lehelt SIIT ja kohalikust Topbeauty e-poest SIIT! 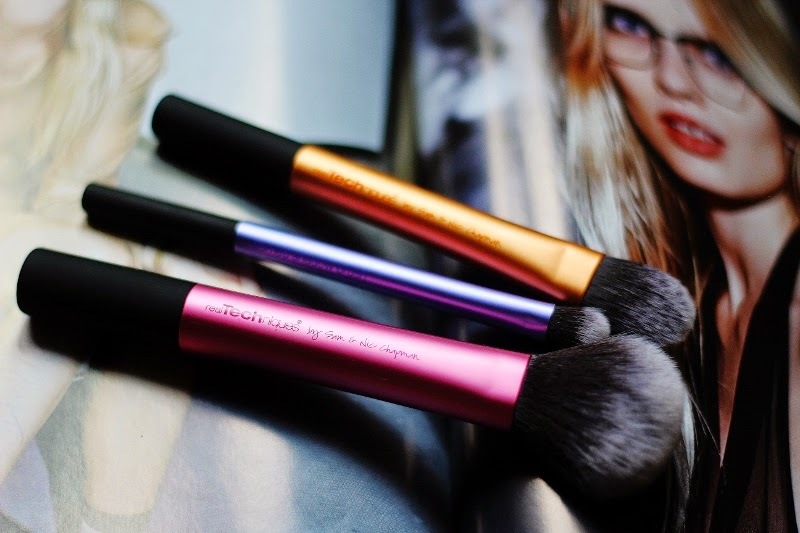 For some time, I've heard seriously good things about the Real Technique make-up brushes. I can't complain about my Ecotools set, but I seriously needed to try out RT. I did some research and decided to gor for the Travel Essential kit. At first :). And well, as soon as I had made the purchase, I ripped the brushes out of the package - so pretty, high quality and soft! Amazing! I found these Real Techniques brushes online at iherb, this page has it all CLICK HERE they ship almost everywhere!